Special Assistant to President Muhammadu Buhari on Digital, New Media, Tolu Ogunlesi, has described former minister of Aviation, Femi Fani-Kayode as “one of the most bigoted humans on earth”. Ogunlesi made the statement in a post on his Twitter page criticizing the former minister for his statements against Fulani herdsmen in Nigeria. 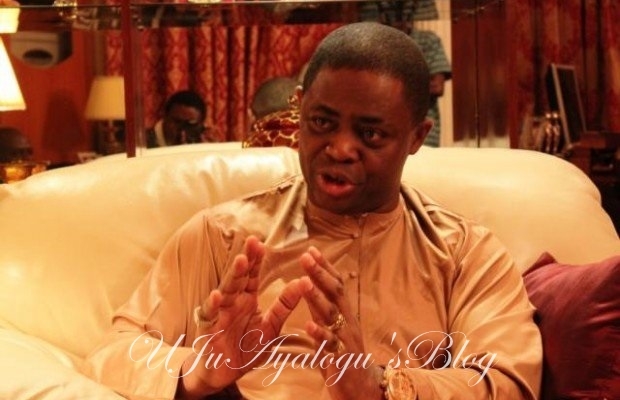 “Fani Kayode (FFK) is one of the most bigoted humans on the face of the earth. He’s anti-Fulani and anti-Igbo rants are archived all across the Internet. “Not seen many people as loaded with ethnic hatred,” Ogunlesi tweeted. Fani-Kayode, who is a relentless critic of President Buhari’s administration, has continuously condemned killings by herdsmen and crisis in parts of the country. READ ALSO : BREAKING: Fayose Threatens To Quit PDP...How true?